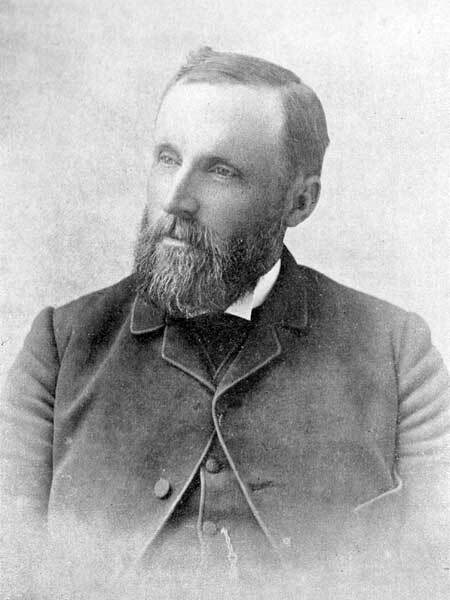 Born in Hastings County, Ontario on 14 September 1846, son of English immigrants James Hoskin and Elizabeth “Betsy” Tummon, he was educated in the public schools, and by private study, and spent his early life on his father’s farm. At the age of 25, he joined the Bible Christian Body, assisting with the Sunday School for some time, became a local preacher, then went to Peterborough. In June 1877, he was ordained at Port Hope Bible Christian Conference and, in 1882, was sent as a missionary to Souris City. On the union of Methodist churches in 1884, he went to Otona (now Baldur) where he ministered for three years. He then spent three years at Thornhill and three years on the Roland circuit, and was appointed Pastor of Carman Methodist Church in June 1893. On 3 July 1888, he married Mary M. Pearce (1861-1929) of Thornhill. They had no children. He died at Stirling, Ontario on 21 June 1927 and was buried in the Stirling Cemetery. The Canadian Album, Men of Canada (1894). We thank Louise Post for providing additional information used here.